Now this is something great! 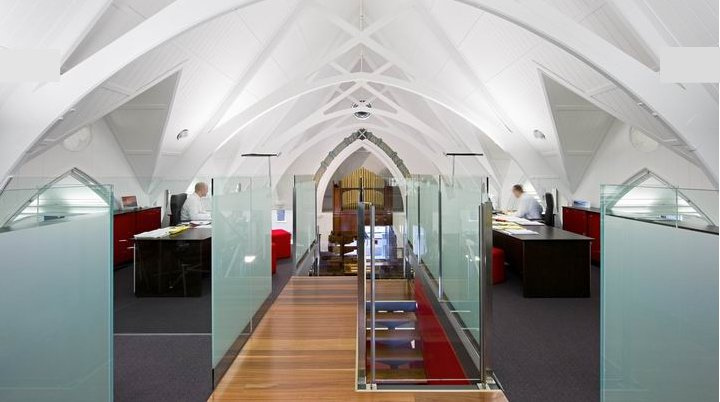 I’ve seen many churches converted to a home, but this is the first that became an office – and what office! 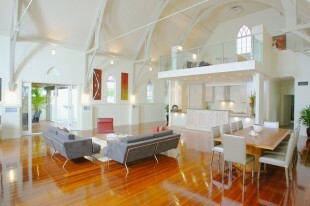 Another day, another terrific church conversion in sunny Australia. This time, the building has quite a colorful history: first a church then a theatre, a slice of Brisbane’s heritage has been saved from demolition and transformed into two striking luxury homes.